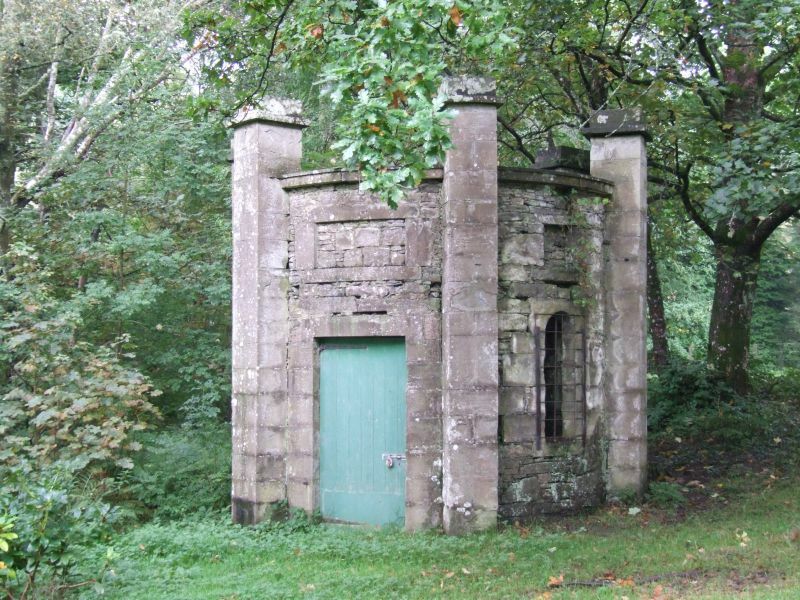 Probably dating to the early 19th century, this circular well house is situated on the edge of a stand of trees, to the E of Old Buchanan House. It is a circular, rubble-built building divided into 5 bays by 6 perpendicular ashlar buttresses with coping and square capstones. To the SE bay is a timber-boarded door with a blind rectangular opening above, and the 2 flanking bays have narrow round-arched openings, with blind square openings above and ashlar margins. The shallow domed brick roof is concealed below the corniced wallhead. Inside the well house is a stone flagged floor with a central circular well shaft. The Well House is part of the Buchanan Castle estate. The policies of Buchanan Castle are included in the Inventory of Gardens and Designed Landscapes in Scotland (Vol. 4, 291).